The summer cook-out – everyone’s got one to go to. Whether it’s thrown by the neighbors down the block, your kids’ teammates or a pair of friends who just got a new grill, we’re sure there’s at least one of these you have to attend this summer. And as the polite guest that you are, you’ll probably “bring something” to add to the traditional line-up of good eats like beefy hamburgers and juicy drumsticks by choosing from one of three categories: dips, casseroles or salads (that last one being used very loosely). Sure, they’re all good choices, but not so fast! There is actually a happy medium between “grilled” and “prepared” that can have everyone raving. This week’s recipe does just the trick! 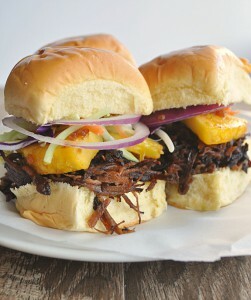 The Teriyaki Pineapple Sliders recipe, courtesy of House of Yumm, not only has just a few simple steps, but also does an incredible job at pleasing both the meat-eater and the fresh fruit fanatic with both savory, slow-cooked seasoning and Perfect Pineapple® piquancy. We couldn’t ask for a better combo! Check out House of Yumm’s recipe page here for directions and more details. Everyone loves guacamole. There’s no discussion about this. Find us one person who doesn’t love guacamole and we’ll call your bluff…they must be a robot! While everyone loves guacamole, everyone also has their perfect way of making it. Now that part, we agree, is debatable. Some like it with more onions, others with more lime juice and some (may we dare say it) claim that great guacamole is made without cilantro…Yeah…guacward. 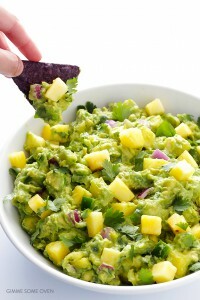 Mash together avocados, jalapeno, pineapple, onion, lime juice, cilantro, salt, cumin with a fork until well-mixed. 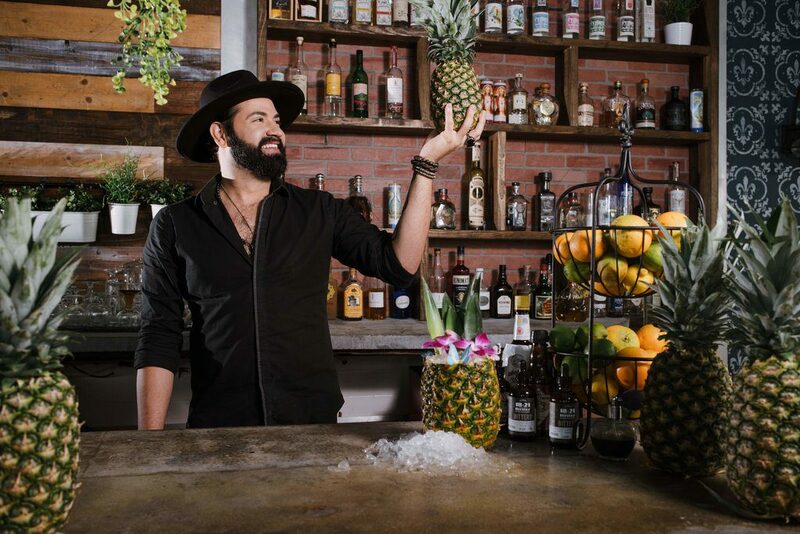 Serve immediately, garnished with extra fresh pineapple and chopped cilantro, served with corn tortilla chips. Or cover the bowl with plastic wrap (so that the plastic is literally touching the entire top layer of the guacamole) and refrigerate. Check out Ali’s recipe page here for more details.